Wood and Linen and Denim, Oh My! When you add uniqueness and trendy touches to an everyday product, people take notice. Making sure that your giveaways and promotions are current will help increase brand impressions and popularity. 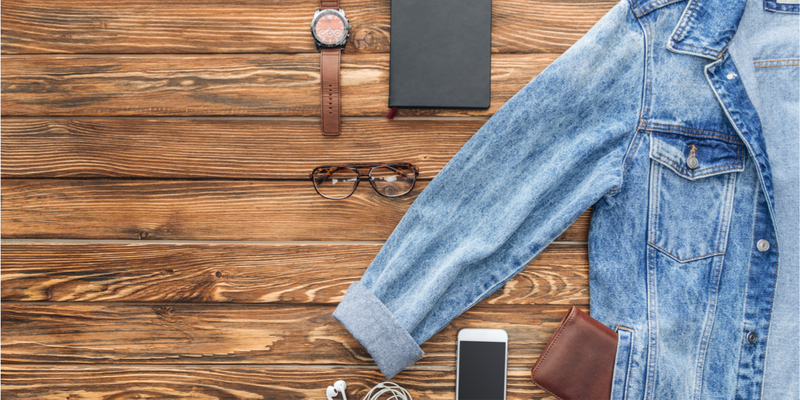 Wood, linen and denim are timeless materials, so consider adding some of these trends into your promotional products! Wood creates a natural warmth and texture in a classic look. The character of natural wood just can’t be overlooked; it adds unexpected beauty to everyday products. The subtle differentiations in pattern and color add individuality into each piece of wood. Whether you’re going for a reclaimed, rustic look or just something more natural, the addition of wood is sure to add visual interest to your campaign, event or promotion. From wooden water bottles and tumblers to wooden coasters and speakers, you’re sure to find a variety of brand-boosting wood styles through Staples Promotional Products. The linen trend is linked to the desire for everything organic. Many people are gravitating to the idea of eating clean and healthy, and this includes cutting out anything processed. The organic eating trend then extended into choosing a fabric that looked almost untreated. The muted and natural colors of linen are soft and comfortable, and the textured weave has a uniqueness of its own. It’s baaaack! Available in a wide variety of washes and styles, denim is full of variety and opportunity. Although denim continues to change and evolve, it has long been considered one of the most versatile and classic materials for clothing. But why limit denim to just your clothing? Think denim accessories, bags, shoes, shirts and so much more. Stay ahead of the competition and get yourself some denim promotional products! Denim shirts and caps are versatile pieces that can be easily added to any campaign or promotion. Remember these trends when you’re picking out your next giveaway or gift. Consider your audience too. You may just find that Gen Z appreciates the newness of these styles as much as Gen X, and Millennials love the nostalgia. If you want it to be used, worn or displayed, think trendy. Think wood, linen and denim.